Christmas vector graphics with decorative Xmas bells. 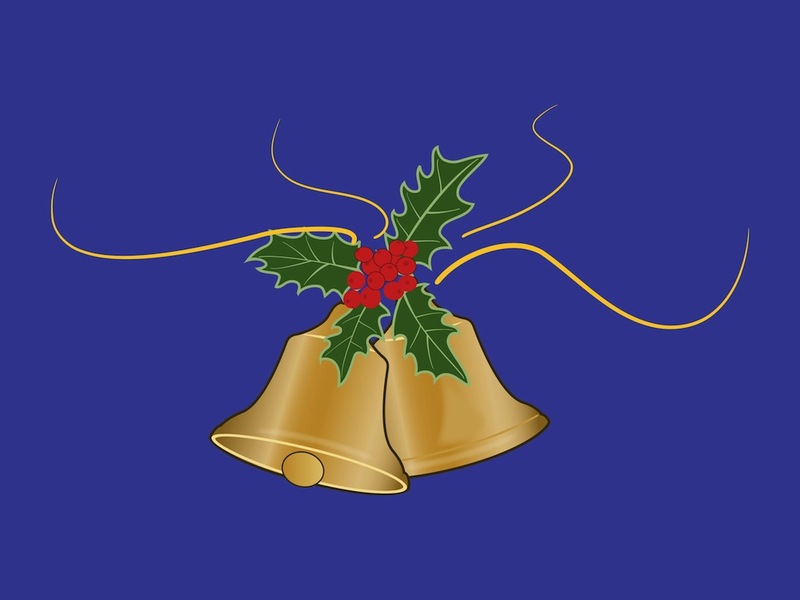 Shiny golden surface of the metal bells, mistletoe leaves and fruits decorating the top part of the bells and thin waving ribbons. Free vector graphics for all your Christmas, holidays, festive decorations, holiday symbols, celebration and festivity designs projects. Tags: Christmas, Decorations, Festive, Gold, Holiday, Metal, Mistletoe.